These fun Secret Life of Pets inspired Paw Print Cupcakes are delicious by themselves but also a healthy alternative to traditional cupcake recipe. 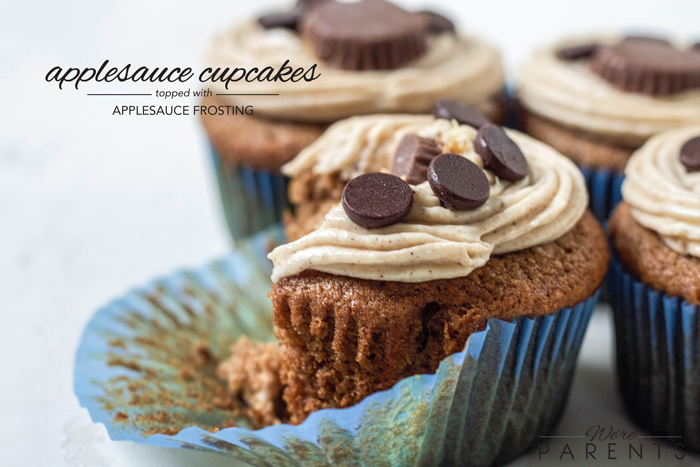 Try these Applesauce Cupcakes with Applesauce Frosting today! As a parent, I am constantly trying to make the best decisions for our girls and our family as a whole. Whether that decision is the type of toothpaste or body wash we use, staying up to date on car seat safety, or deciding on schooling, there is always a decision to be made. One decision we are faced with every single day though is what food we will allow in our homes and in our children’s bodies. Skibbles, our toddler, is at the age where she really only wants sweets, snacks, and chicken nuggets. I know it is a phase that most children go through and it would be one that is easy to give in to every day. Not having to deal with the tantrums would be so much easier. However, being a parent isn’t about being easy, is it? My goal is to create a balance and provide the most nutritious, yet fun, lifestyle I can for both our girls. One way I do that is by making smart snacking choices for our girls. When I make things from scratch at home, I can make them cupcakes or cookies, and still know that I’m providing them nutrition. I love making applesauce cupcakes using Mott’s® Applesauce. It’s really the best of both worlds. As a mom, I feel great about what I’m feeding her, even if she thinks it’s a treat. That’s real joy isn’t it? While I grew up loving the individual Mott’s Applesauce Cups, our girls love the new Mott’s Applesauce Pouches that are available. Having these pouches and cups in our house allows our girls to make smarter snack choices, as well as developing a healthy habit of making the nutritious choice in the future when Andrew and I aren’t always around. 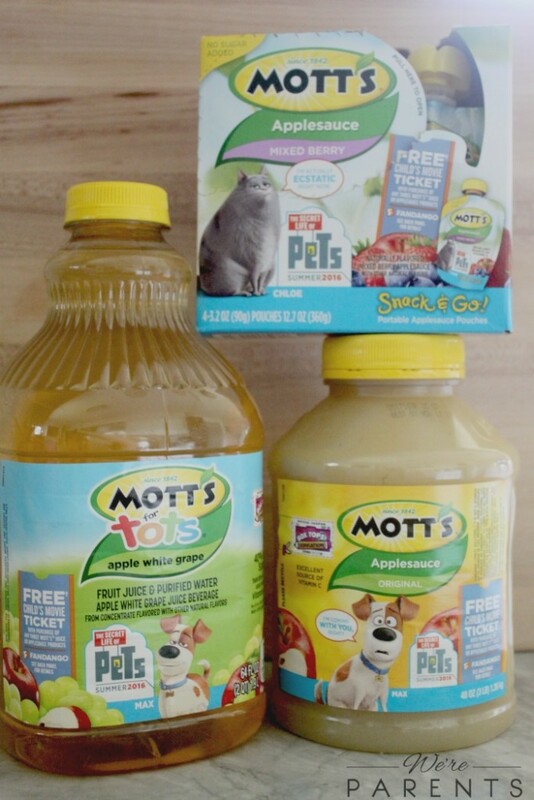 Mott’s is currently offering special packaging in partnership with the adorable The Secret Life of Pets movie. 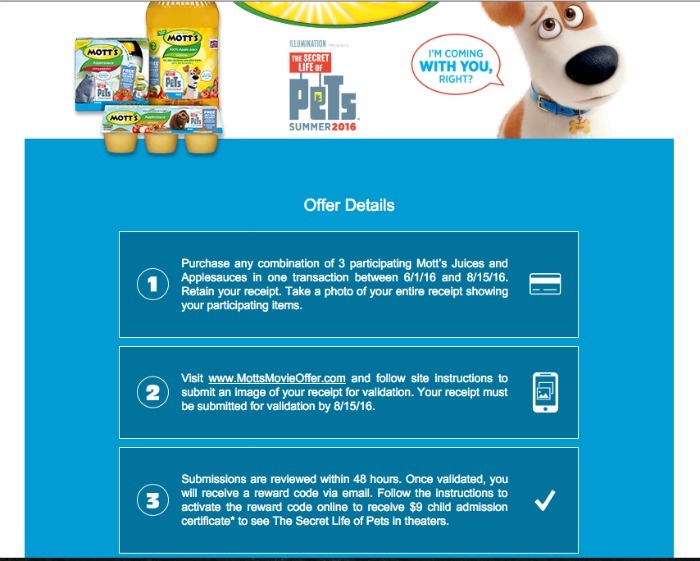 Right now you can purchase three and/or purchase five Mott’s products for free children’s tickets and $8 movie vouchers. 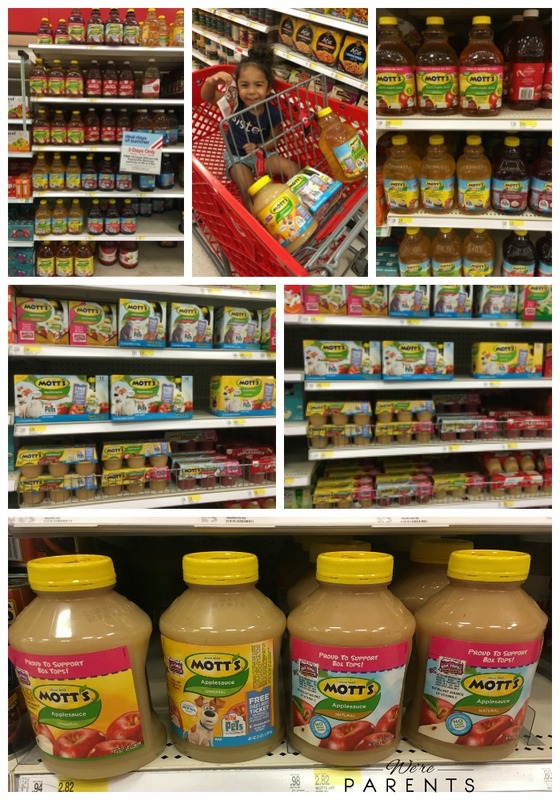 You’ll definitely want to make sure that you head to Target to pick up your Mott’s Apple Juice and Mott’s Applesauce products, just like we did, for these great Cartwheel offers! 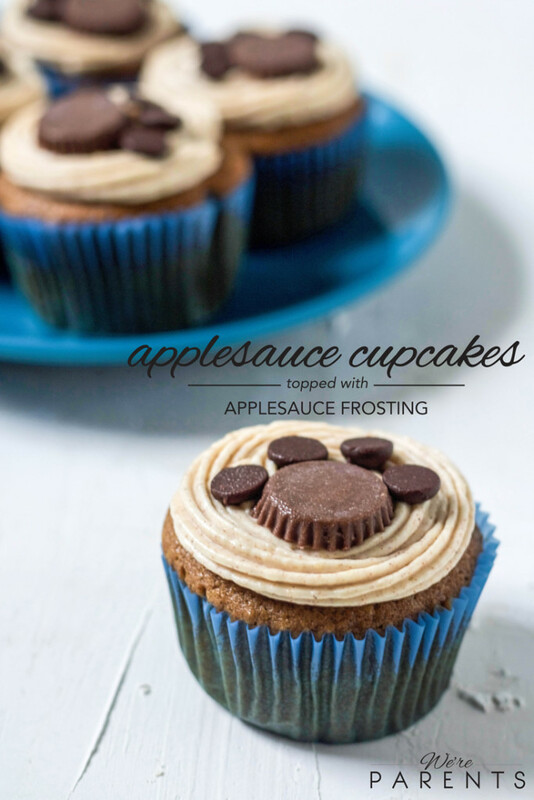 After you head to Target and pick up your products you’ll want to head into the kitchen to make these Paw Print Cupcakes aka Applesauce Cupcakes with Applesauce Frosting. 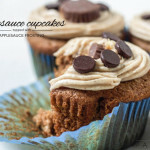 Not only are they absolutely amazing (and a more nutritious option) but they are perfect to celebrate with before or after you go see the movie! In a small bowl, combine flour, cinnamon, baking soda, baking powder, and salt. Set aside. In a large bowl, beat together butter and brown sugar. Add in egg and vanilla and beat until just combined. Add applesauce and apple juice and beat until combined. Slowly add the dry ingredients until combined. Fill paper lined cupcake 3/4 of the way full. Bake from 20-22 mins or until a toothpick inserted comes out clean. 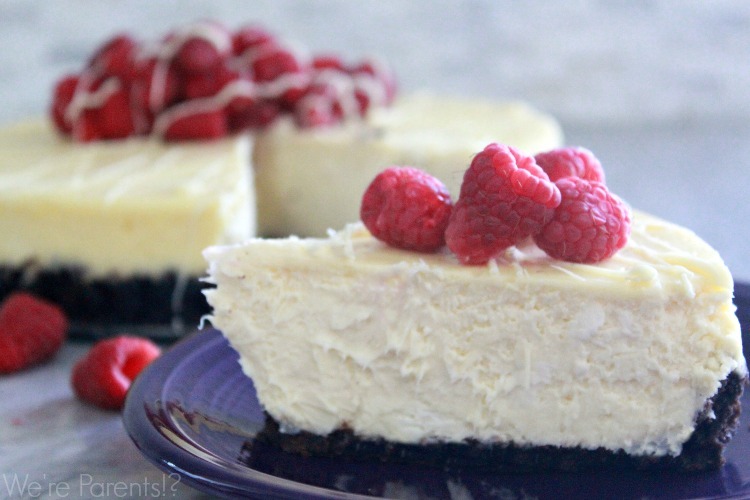 Blend the cream cheese and butter until no lumps are left. Add in the applesauce, cinnamon, vanilla, and nutmeg. Add the powdered sugar and blend until everything is well combined. Using a piping bag, pipe the frosting on top of each cupcake. 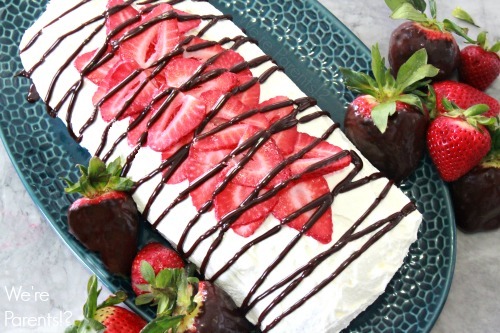 Refrigerate or discard any leftover icing. Cut each mini peanut butter cup in half. Using the wider half place in the center of the frosting. 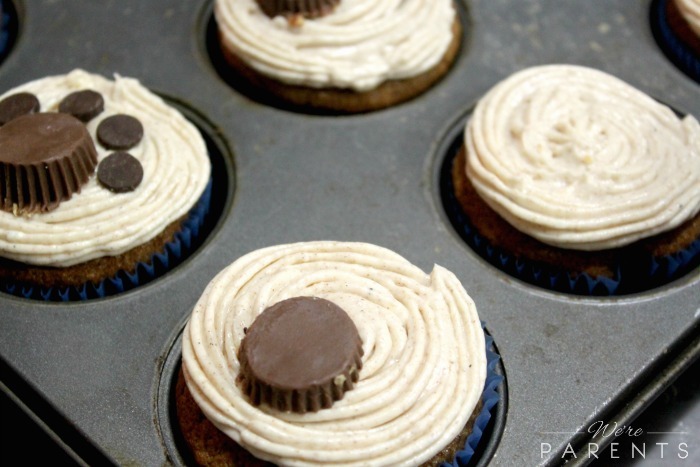 Above the cup, place four regular size chocolate chips, flat side up, in a crescent shape above the peanut butter cup. 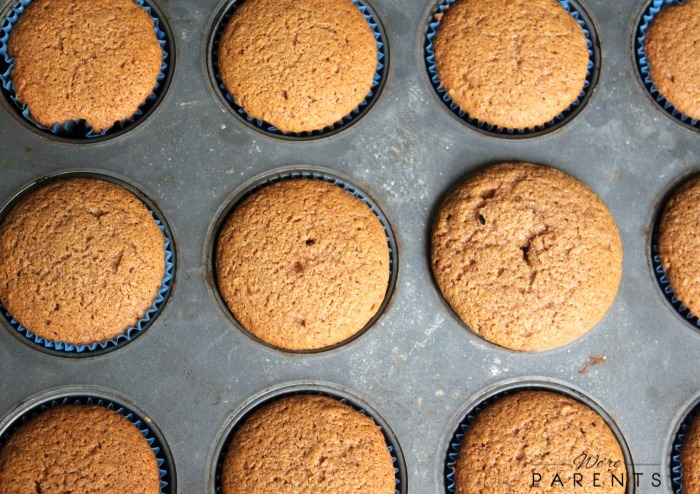 These make great “muffins” sans the frosting and paw prints if you want a healthier alternative too! Check out this site for more information about the special offers and recipe ideas. 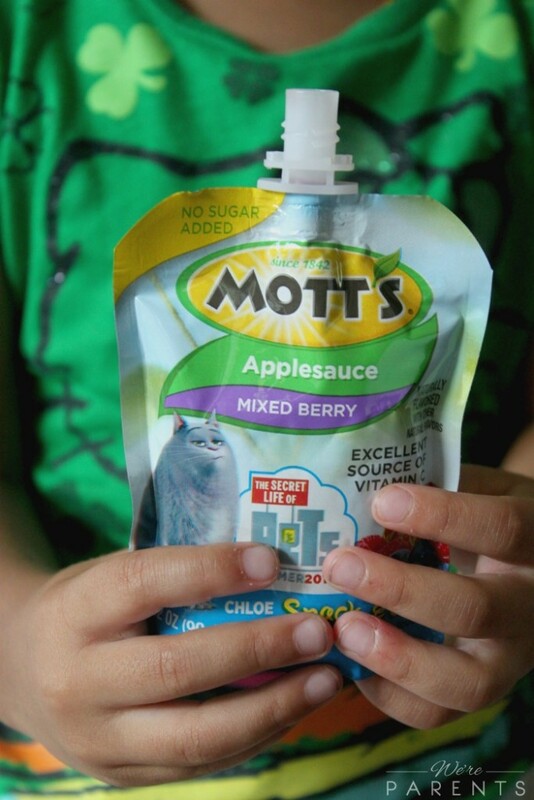 Then, head to Target to grab your Mott’s products today to make these and get geared up for The Secret Life of Pets. Make sure to submit your rebate for tickets and savings to enjoy the movie! 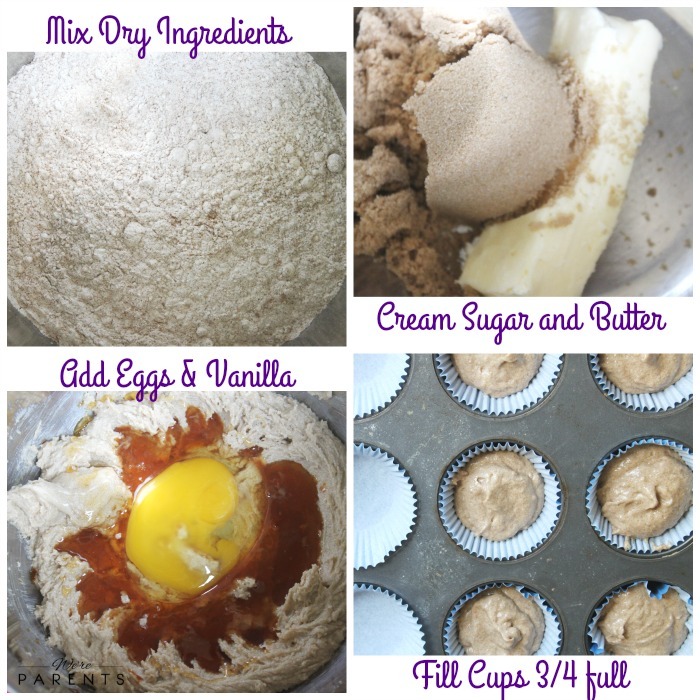 I don’t see how many cupcakes this recipe makes? Thanks!